We’re very excited to be part of the Bear Grylls Survival Race’s Charity Volunteer Programme this year. As part of the programme, we need to recruit around 20 volunteers to help out at the Bear Grylls Survival Race on Saturday 3rd October 2015. In turn, we will receive a donation of £35 per volunteer! The Bear Grylls Survival Race that we are part of will take place in North London on Saturday 3rd October at Trent Park, London EN4 0PS. In addition to helping us earn a monetary donation to support our work, volunteers will ensure that all runners and supporters enjoy an amazing day of achievements and camaraderie. It will be a fun and rewarding experience and offer a great insight into what’s involved in putting on large scale sporting events. There are a range of volunteer roles available which will be assigned on the day but could include registering runners, marshalling the course, and helping at the finish line, amongst others. Volunteers will be rewarded with complimentary access to the Bear Grylls Festival at Trent Park following the race. The festival is a celebration of survival, fitness and the great outdoors. For fans of the man, the legend that is Bear Grylls, the top chap himself will be appearing in person! Full festival details here. Feeling especially hardy and brave? Take up the challenge to run the race and make Bear proud! Additionally, as part of the Charity Volunteer Programme, we can also access reduced price entry into the race for anybody who would like to take on the challenge themselves and raise funds for us. There are options of 5K or 10K Survival Races, consisting of natural obstacles and a range of survival challenges designed to cater to all abilities. Although the races are challenging, they are also designed to be achievable for anyone with enough grit and determination! 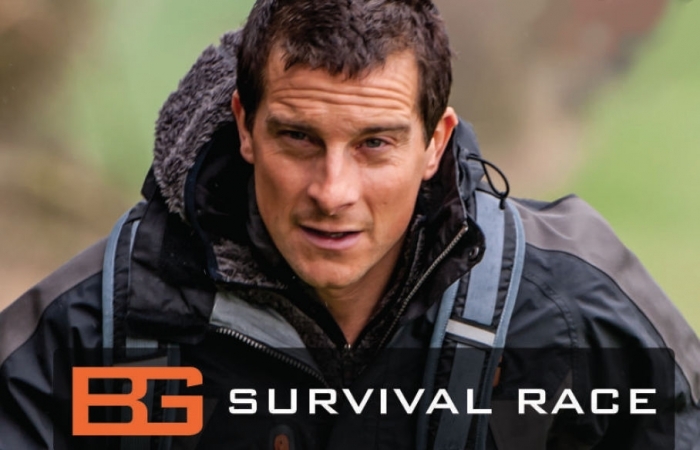 Check out the Bear Grylls Survival Race website for further info. Make Bear proud and sign up today! Please get in touch with Ruth Mulvey on 020 7733 3222 or ruth@irenetaylortrust.com if you would like to either volunteer to help out at the race, or run one of the races yourself to raise funds for us.